So school's out for the holidays, and I still need my kids to stay busily out of my hair while I finish up some last minute Christmas presents. So I'm hoping to entertain them with some new Christmas craft stick puzzles.....at least they'll be busy for about 2.7 minutes. 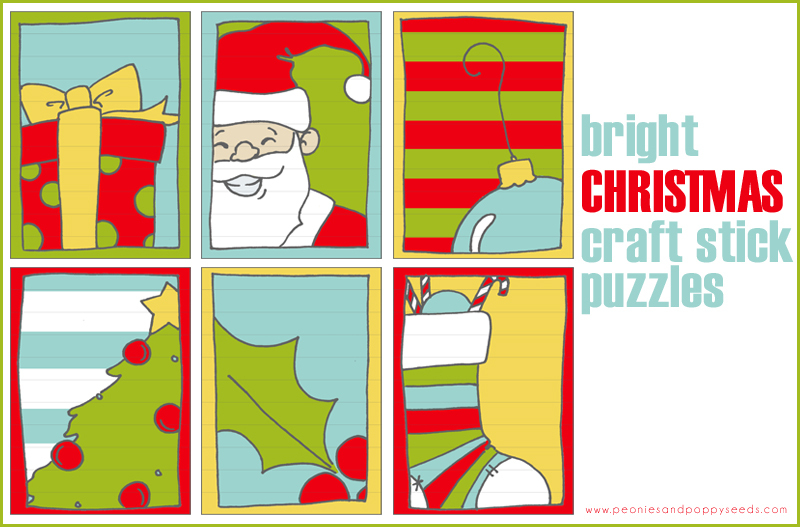 Just click the image to download these free craft stick puzzle printables, or you can click here. If you're not sure how craft stick puzzles work, you can check out the tutorial we posted here.